South Carolina state health officials are reporting a confirmed case of measles in a resident who lives in Georgetown County. The South Carolina Department of Health and Environmental Control (DHEC) received the report from a local health care provider. 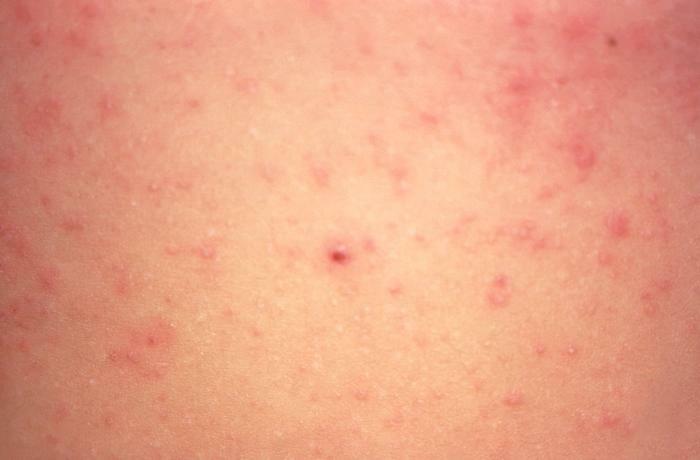 This is the second confirmed case of measles in South Carolina since 1990. The previous case was in Charleston in 1997. In addition, healthcare providers were notified to be on alert for patients with signs or symptoms of measles and on reporting cases to health authorities. Measles virus is highly contagious and spreads through the air through coughing and sneezing. The best way to prevent measles is through vaccination. Children should receive two doses of MMR vaccine: the first at 12 to 15 months of age, and the second at 4 to 6 years of age. Children 6 to 12 months should get an early dose of MMR vaccine if they are traveling to a country where measles is common. For all ages, it is important to talk to your doctor if you are going to be traveling to another country. where did this person get it from?